As an IT recruitment agency, we’ve seen the rapid growth of remote working first hand. Due to the nature of many IT roles, the tech industry has been at the forefront of the movement from the start, along with other pioneering working practices like agile and lean methodologies. However, whilst remote working comes with an abundance of benefits including reduced operating costs, better work-life balance, and increased productivity, there can be potential issues if remote workers aren’t managed properly. One of the key things businesses naturally lose when working remotely is the ability to just tap someone on the shoulder or round everyone up for an impromptu meeting. This can make it difficult for employees to feel like part of a team. To remedy this, It’s a good idea to have a project management platform that allows for open-book working practices and gets everyone on the same page. There are some great tools available on the market that are often designed for remote workers. We use Basecamp, which is really accessible and makes it easy for employees to upload, share, and collaborate on files. It also has strong community features where users can see a timeline of what everyone is working on, give colleagues support through ‘boost’ emoticons, and huddle round the ‘campfire’ thread to update each other on work. Communication and collaboration tools are increasingly used in workplaces today — both in offices and remotely. While these are intended primarily as an easy means for employees to collaborate, they also are a fun bonus for employees, encouraging a kind of social interaction that is missing when workers are remote. There’s a business case for this too as it boosts engagement and helps to keep up morale by encourage team bonding. The reason it works so well is that it enables informal, social chit-chat that’s far more dynamic than the classic “watercooler” chat. Colleagues can easily share everything from music recommendations and videos to recipes and events. And with images, emojis and gifs at their fingertips, there’s a nice social flavor to interactions that’s difficult to achieve via email. While social media and project management software are an important aspect of remote working culture, these platforms for communication are of course typically non-verbal. This can sometimes create misunderstandings and miscommunications, which means it’s vital to integrate meetings via phone and video calls too. Make sure you have regular check-ins with employees — both one-to-one and in group settings. This gives people the opportunity to raise concerns, discuss sensitive topics or simply put forward ideas that may be difficult to convey via instant messaging. Aside from this, something like a weekly video call “social hour” can be beneficial to employees just needing some informal face-to-face interaction. Although virtual meet-ups and calls do help to minimize loneliness, remote workers still miss out on the daily in-person interactions they’d normally have in an office or other traditional working environment. Arguably, it’s the lack of this type of communication that is the most isolating for employees; without it, people are physically alone for their entire working day. To counteract this, many remote businesses schedule regular, in-person meet ups. While the length and frequency of these does depend on factors like location, budgets and the amount of days employees work remotely, making them happen is essential for team happiness and wellbeing. 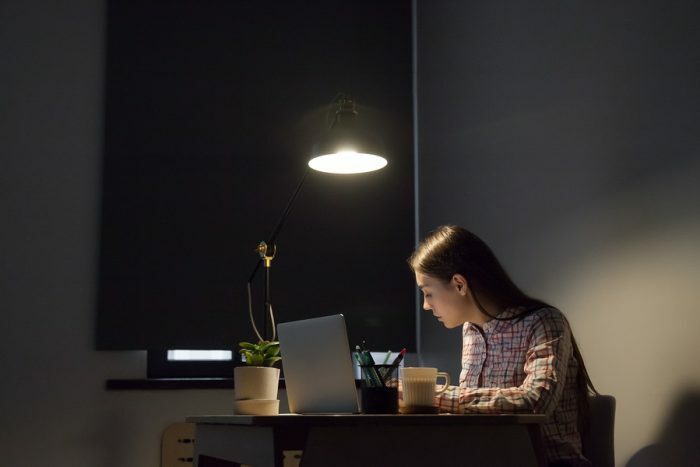 Despite the many things businesses can do to support remote employees, there are still lots of things that could potentially go wrong and make people feel lonely or disconnected — not just at work but in their lives in general. Despite the flexibility remote working brings, many people find it interferes with their personal life; a 2018 study by the CIPD found that 32% of remote workers felt they could not switch off from work. It’s also common for those who work from home to overwork, sometimes without realizing that without a physical office to walk away from every day, the boundaries between work and home can blur. Businesses can help by offering an open-door policy for informal chats about mental health, as well as formal counseling sessions as part of a benefits package. Zoe Morris is chief operating officer of Frank Recruitment Group, a global leader in staffing for IT professionals with multiple recruitment brands.